Well, at least one member of One Direction has stopped being coy about all whether or not the band will ever reunite after hiatus. During an appearance on The Graham Norton Show Friday, Niall Horan opened up about what exactly he’s been doing since the band went their separate ways, and when he thinks the boys of One Direction will get back together. 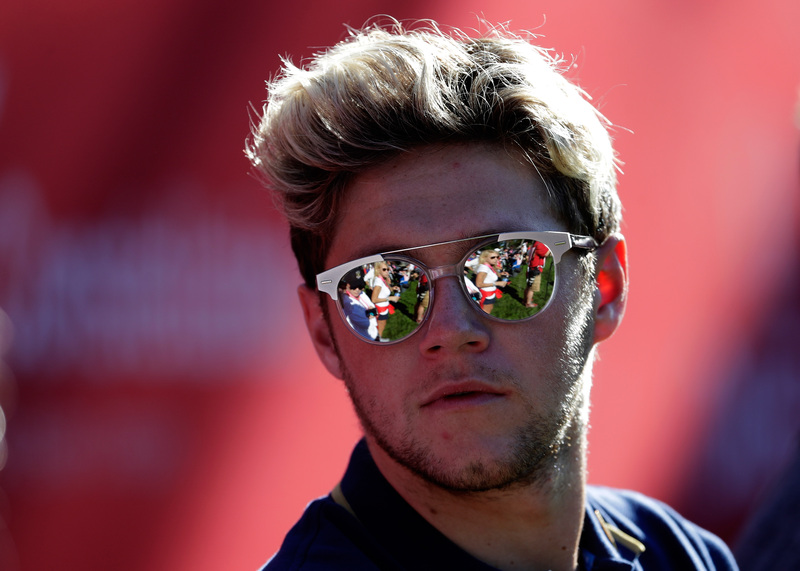 That's right: For Horan, it sounds like the question of a reunion is when, not if. And I’m thanking my lucky stars for that, because now I can at least silence that nagging voice in the back of my mind that says a reunion will never happen. So yes, during his appearance, Horan basically confirmed that the band would be getting back together. But, when that reunion would happen is not exactly clear. “For now, we are doing our own thing,” Horan said, reverting to the band’s coy responses to direct questions about their future. But then he let up a bit, giving fans what they want when he said, "We can't put a date on it but it won't be in 50 year's time. It's in the foreseeable future. We've talked about it, but for now we'll just play by ear and see what happens." You hear that, Directioners? They’ve already talked about it. That’s the closest thing we’ve come to a confirmation that a reunion is happening since the band went their own ways for an undefined hiatus back in early 2016. Before this moment, there were a lot of clues about a possible end to the band's hiatus, but nothing quite as clear as this. Not even the moment in September of this year when the band’s website possibly accidentally leaked future tour dates (or, at least, that future tour dates might be happening): When “Future Events” temporarily became a tab on the band’s websites, fans went crazy thinking that they would soon be announced. Unfortunately for fans, however, the tab was soon taken down. There’s the fact, too, that Harry Styles has reportedly finished up shooting Dunkirk, and that Louis Tomlinson tweeted his love with a promise of returning to his fans soon enough. If you stir all of those clues together, you have yourself a healthy serving of all right already, when the heck is this reunion going to happen? Lucky for fans, though, it seems like things for the band may at least be moving in the right direction. I'll be counting down the days, guys.